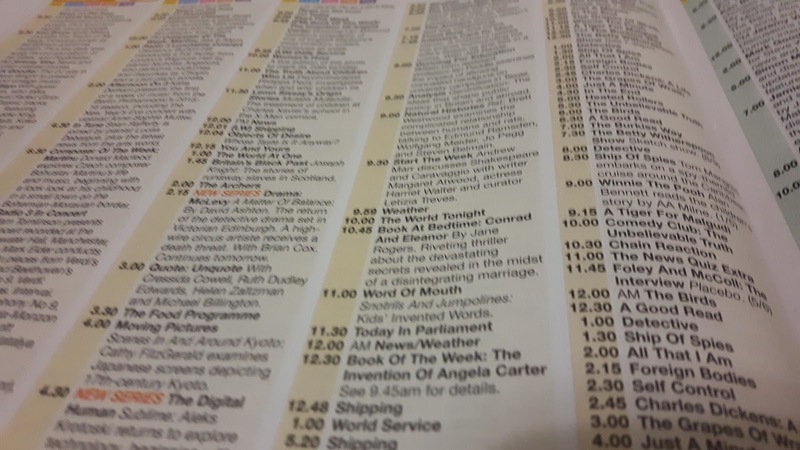 TV listings magazine Total TV Guide has restored radio listings after controversial changes a year ago that saw the listings removed in favour of a highlights page. The publication revamped its listings last year, in a move that saw more of its listings mirror the format and text of sister magazine TV Choice. It removed its daily radio listings page, leaving just the RadioTimes with detailed listings and What's On TV with a summary of the main radio stations. As part of the revamp, described as making the magazine "bigger and brighter" by editor Jon Peake, the magazine has created a page dedicated to on-demand TV in addition to a Total Radio Guide following the TV listings. Alongside a weekly highlights page, daily listings cover BBC Radio 2, 3, 4, 4Extra, 6 Music and Classic FM. But instead of including BBC Radio 1 or 5 Live in the listings, the new radio section lists Magic and Absolute Radio, meaning the guide is no good for checking sports coverage on 5 Live. Incidentally, Magic and Absolute Radio are operated by Bauer Media Group while Total TV Guide is published by H Bauer Publishing, both part of the international Bauer media empire founded in Germany. While it's the first time that national DAB station Magic has been given a prominent space in a UK listings magazine, newer DAB stations aren't often covered in any listings guide, despite the higher profile of stations such as LBC, which have benefited from joining national DAB. RadioTimes' radio listings pages have changed little for the past decade, broadly reflecting what were the main DAB stations in 2008, when many of the first generation of digital stations closed down. Do you still buy a listings magazine? Are they still relevant? Does having a radio guide influence which title you buy? Have your say below! Usual rules apply. Australia has never really a had a culture of radio listings in magazines. Some newspapers used to have radio listings in their weekly TV lift-outs but with so many radio stations these days (and so many TV stations to squeeze into the same page space) even those radio listings are now gone or, at best, limited to a handful of radio stations like the ABC ones and in tiny print that they're barely readable. 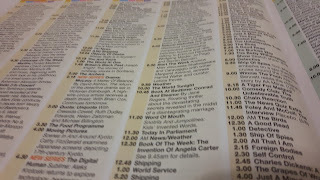 I welcome the return of radio listings in Total TV magazine. It was Radio Times that had first not published a detailed radio listing and then restored it! Which is important for BBC Radio 2, 3 and 4 as they have more than just a DJ on. Total TV is also quite a bit cheaper to buy than Radio Times and gives equal prominence to the daytime schedule of the main channels.